In the shadow of the very serious Dreamworld incident in October 2016, the Australian attractions community is laser-focused on safety in every aspect of our industry; everything from standards, legislation, inspection protocol, training and communication. During this conference, I had some of the most intense and meaningful conversations I have had in a long time. Despite the long distance, and the time difference, it was worth the trip. With Australia located in the southern hemisphere, the summer season is slowly winding down. While back home, we are winding up. Liseberg has now been open for a couple of weekends and the intricate machinery of operating the amusement park, is steadily gearing up. The constant change of pace of a seasonal business is hugely challenging, but also one of the reasons why this industry is so fun to work in. One day is never like the other. We have also seen many of our businesses are becoming less seasonal. They are looking at their business in news ways, and extending the operating seasons beyond a few, intense summer months. This extension means parks can take part in holiday-themed events, such as Halloween and Christmas. 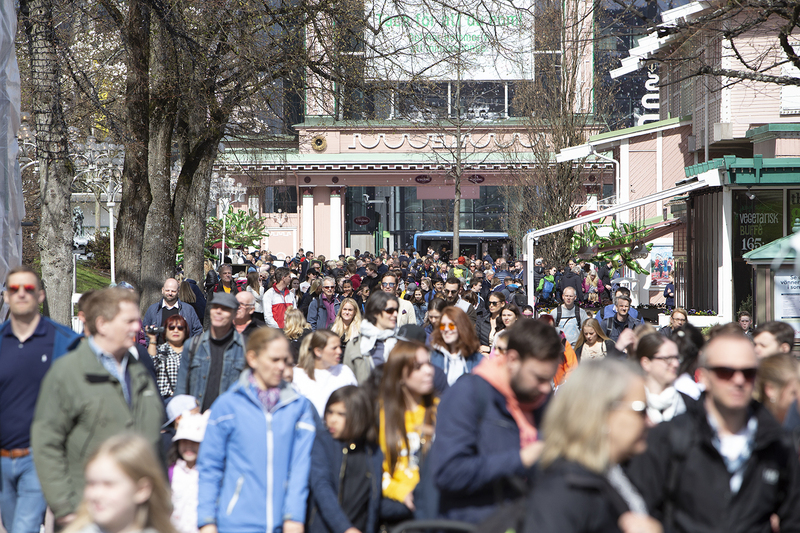 A few years ago, we conducted an extensive market study at Liseberg. This was conducted in connection with our planned expansion. The results of the study were interesting. We learned Liseberg’s seasonality was more far-reaching, than most of our European colleagues. We were concentrating a large part of our activities – and revenue – for just a few, very important summer weeks. For instance, our revenue in week 30 (late July) was almost equal to our revenue resulting from our six-week long Christmas event, held in November and December. This extreme seasonality means when expanding our business, it does not make sense to expand the park in a classical sense. We can’t focus on just building more coasters, carousels or games. This can lead to an already imbalanced allocation of our business and revenues. The seasonality of our existing business – and the weather risks associated with it – is one of the driving forces behind our plans for our expansion to focus on full-year activities and activities indoors. This means a themed family hotel and indoor water park. We must remember though, there is also something magical about the seasons. Opening, closing, winding up and down. I also believe the seasonality of a park adds to the attractiveness of our business. If you eat peanut butter and jelly sandwiches every day, you will soon get tired of them. But if you can only have peanut butter and jelly sandwiches, occasionally, then they taste that much better and become something very special. If we don’t need to long for something, we stop longing. The waiting and the pent-up demand add to the experience itself. I think the same applies to regional parks and attractions. At Liseberg, we always say people come to us to celebrate the all-too-short summer and find a gleam of light during the all-too-dark winter. Our park is, currently, linked to the rhythm of the seasons, and the rhythm of the year. The beauty of winding down, summarizing the season and closing the gates, also allows us as operators to also always look ahead, and have our eyes set on what comes lies ahead. We need to close, to open again. Whether here, or in Australia, or anywhere else in the world.